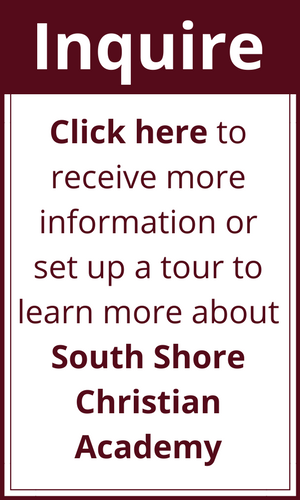 Are you interested in learning more about South Shore Christian Academy? We would love to have you visit or answer any questions you might have. You can submit the online inquiry form and expect a call from one of our Admissions Coordinators, or you can reach out directly to a member of our Admissions Team.